BT and the Trustee of the BT Pension Scheme (BTPS, or the ‘Scheme’) have reached agreement on the 2014 triennial funding valuation (the ‘2014 valuation’) and recovery plan. The funding deficit at 30 June 2014 is £7.0bn with the increase from the 2011 valuation reflecting the low interest rate environment at the valuation date. 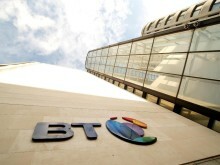 A 16 year recovery plan has been agreed reflecting BT’s long-term and sustainable cash flow generation. Over the next three years payments will total £2.0bn. BT will pay £1.5bn by the end of April 2015 out of existing cash and current investment balances which totalled £2.8bn at 31 December 2014. This will be followed by £250m in each of the years to March 2016 and March 2017. For the seven years from 2018 to 2024 BT will make payments in line with the 2011 agreement. These will be followed by five annual payments of £495m through to 2029 and a final payment of £289m in 2030. BT and the Trustee will review the funding of the Scheme in the normal way at the 2017 valuation. If the deficit is lower than the remaining recovery plan, that reduction will be reflected in the new recovery plan. BT has agreed to continue to provide the Trustee with certain protections as detailed in the notes below. 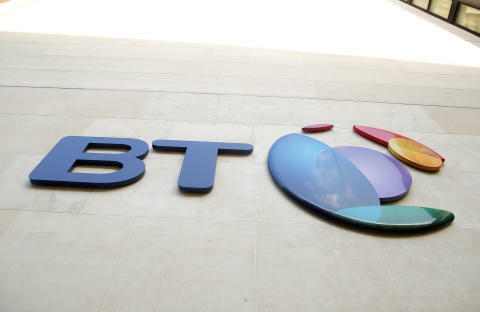 BT has also discussed details of the potential acquisition of EE with the Trustee. Tony Chanmugam, BT Group Finance Director, said: "I am pleased that we have agreed the 2014 triennial funding valuation and recovery plan with the Trustee. This agreement is a good outcome for the Scheme’s 300,000 members and BT. The increase in the deficit from the 2011 valuation reflects the low interest rate environment. We have agreed a 16 year recovery plan reflecting the strength and sustainability of our future cash flow generation. We remain focused on our prudent financial policy of investing in our business, reducing net debt, supporting the pension fund and paying progressive dividends." Paul Spencer CBE, Chairman of the BTPS Trustee, said: "The Trustee is pleased to have reached agreement with BT on the valuation of the Scheme as at 30 June 2014. The valuation reflects the economic and market conditions at the valuation date and the improved financial position of BT. The agreement with BT secures an updated funding plan for the Scheme supported by a range of enhanced protections."